After a long writer’s block and hurricane Florence, I decided to pick through some recent books I’d purchased. I was feeling down because of the block and the storm, and when I found this little letter addressed to Tootsie from her mother I was ecstatic! 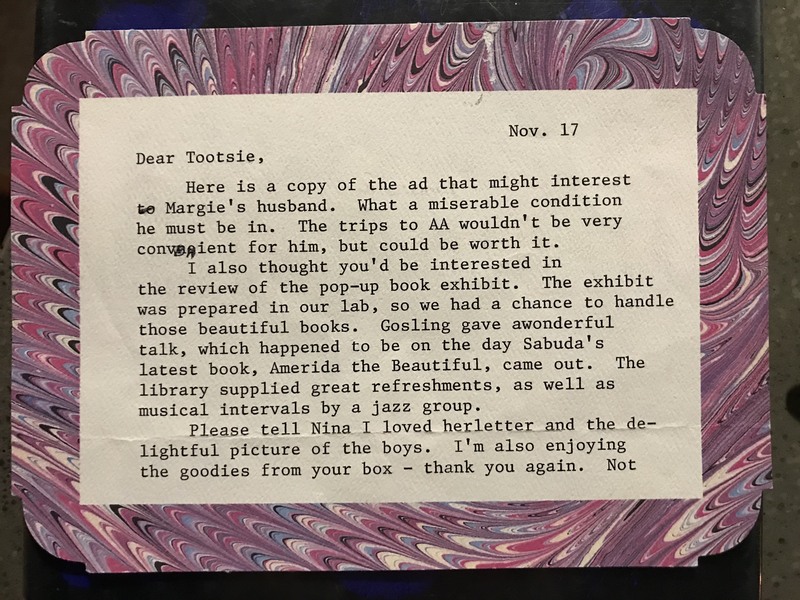 I wish I knew which review mom is talking about, and which pop-up exhibit, but Robert Sabuda creates pop-up books, and America the Beautiful was released October 19, 2004, if anyone has better research skills than I.
P.S. I’m almost positive the Gosling mom is referring to is not Ryan.